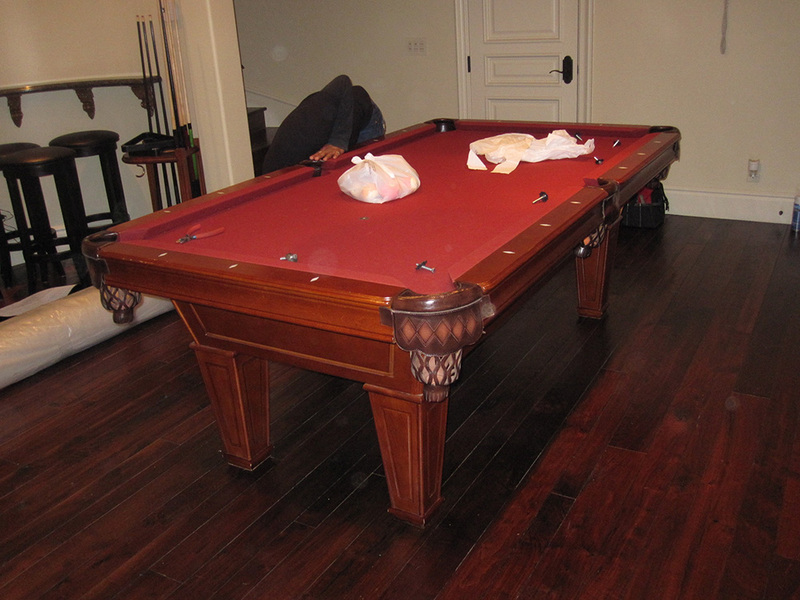 This seven foot Imperial pool table was being given to one of the contractors doing work in this Irvine, CA basement game room. 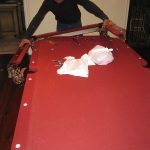 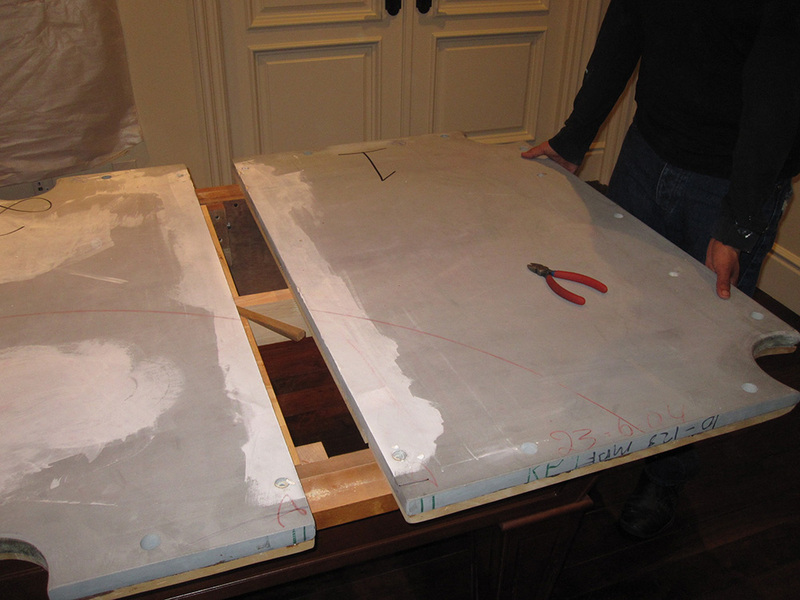 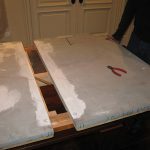 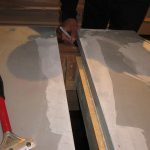 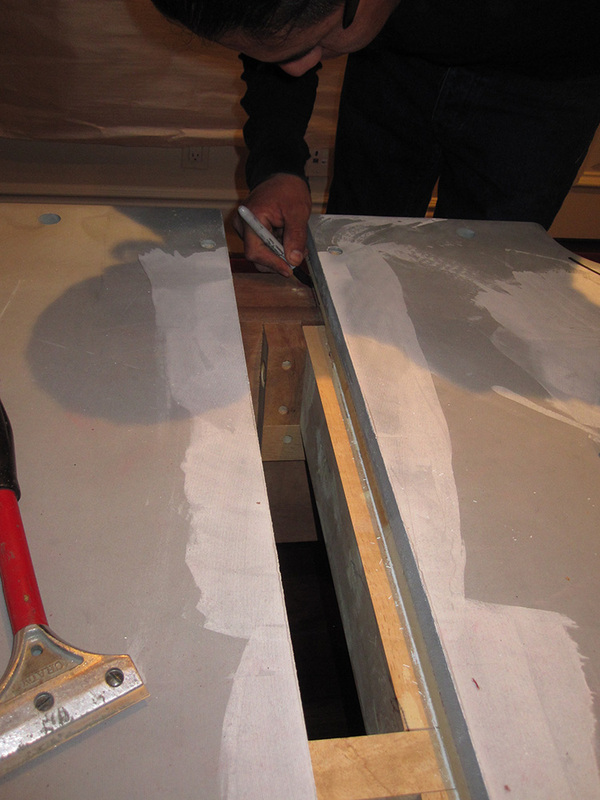 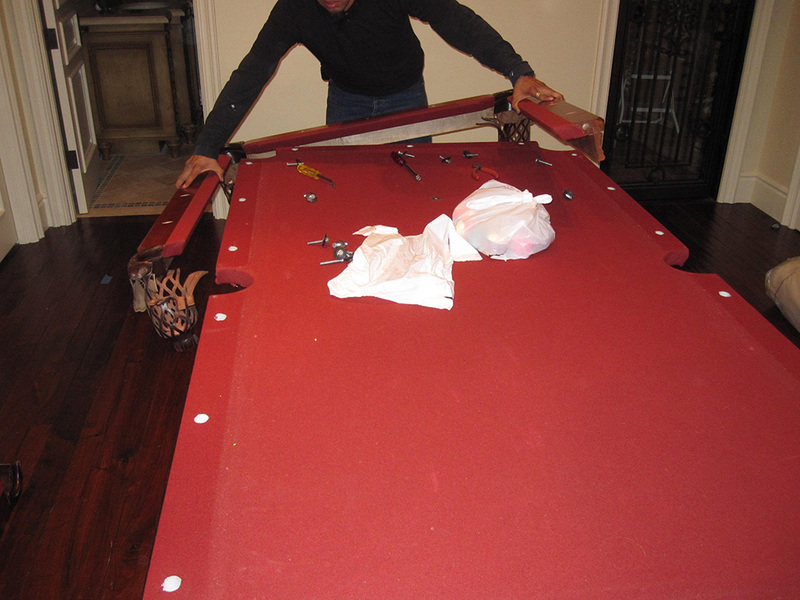 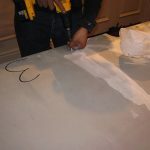 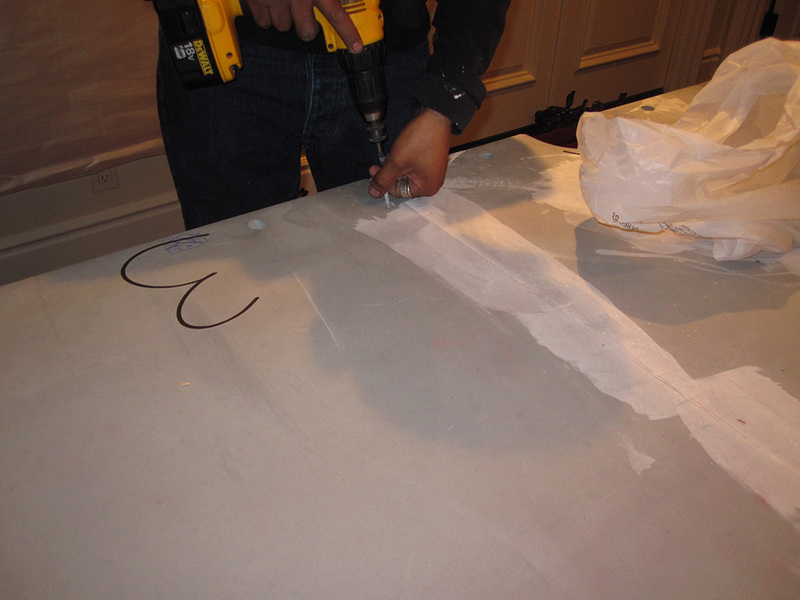 We were hired by the contractor to disassemble the slate pool table for him. 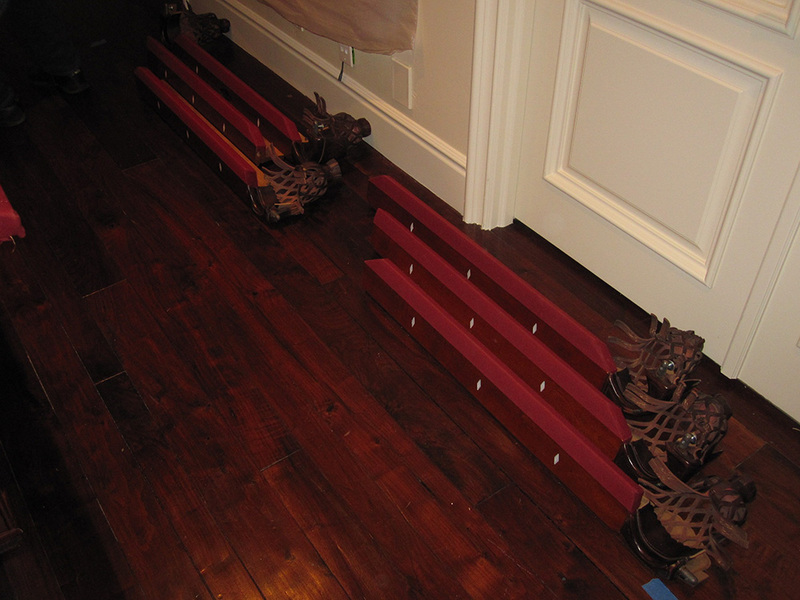 He and his buddies will be coming to pickup the pieces and move them to his house. 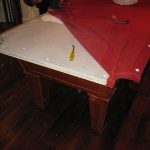 This is a pretty descent three piece slate pool table, the slates are one inch thick which is a good quality to have in a pool table. 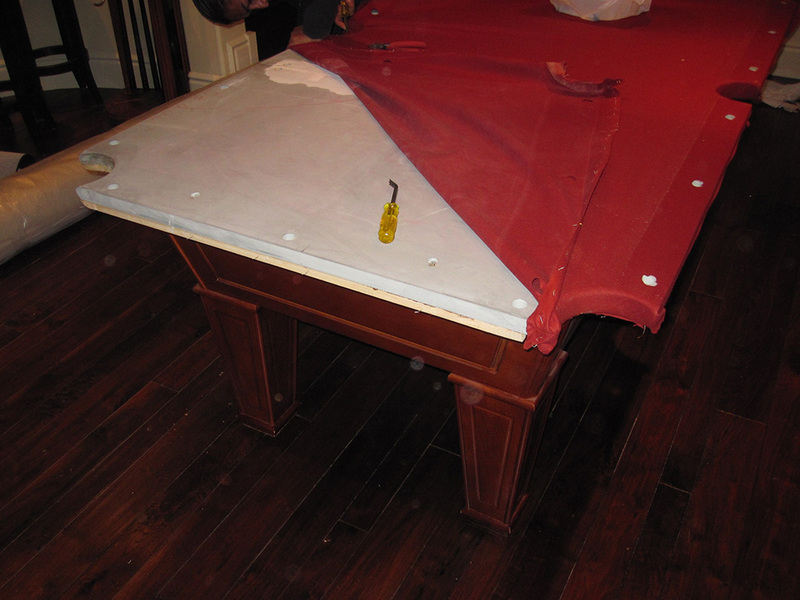 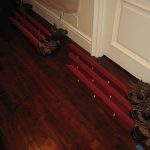 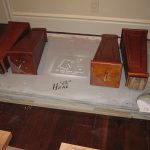 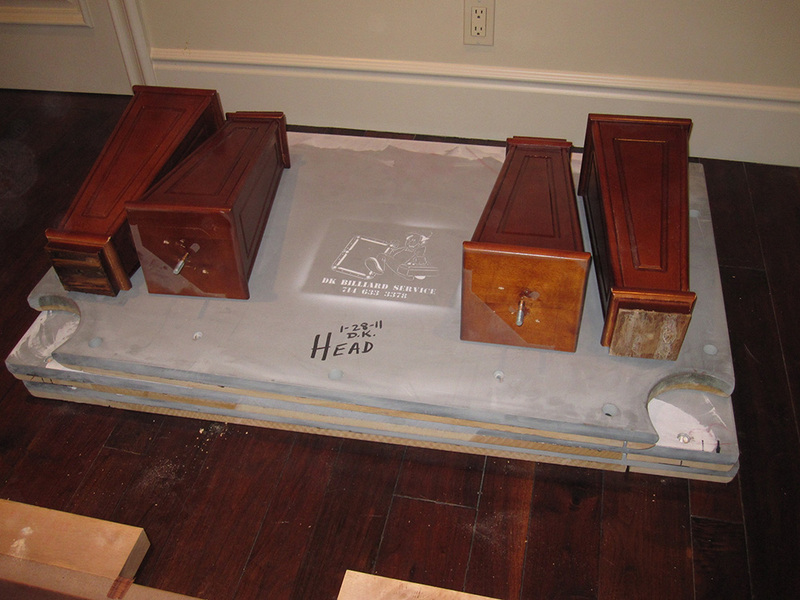 We carefully removed the mahogany colored felt so that it could be re-installed at a later date.